Metro is committed to creating a sustainable region and future for the more than 9.6 million people who live and work in Los Angeles County. Our commitment towards a better environment begins with public transit. But we go well beyond buses and trains, with local bike and pedestrian improvements, and innovative solutions in alternative fuels, emissions controls, countywide planning, and more. Metro will be the leader in maximizing sustainability efforts and its benefits to LA County’s people, finances and environment. Metro will provide leadership in sustainability within the LA County region without comprising our core mission of moving people efficiently and effectively. 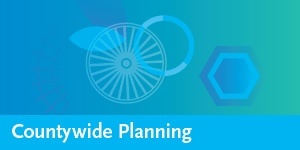 Countywide Planning : Plans and implements a countywide transportation system that increases mobility, fosters walkable and livable communities, and minimizes greenhouse gas and environmental impacts. 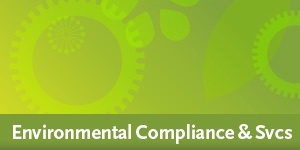 Environmental Compliance and Services : Minimizes environmental impacts from the design, construction, operation and maintenance of Metro’s facilities and operations. Sustainable Businesses Practices to minimize environmental impacts from the design, construction, operation, and maintenance of Metro's facilities and operations. A minor leak in a single pipe joint or faucet can result in up to three gallons of wasted water each day. This hurts the environment, and can also add to your water bill. Some leaks can be easily corrected with a pipe wrench and a few minutes of your time. If the leak is more complex, you may need to consult a plumber to make sure the job is done correctly and completely. You can also purchase special faucets and shower heads that are designed to conserve water. Many of these items can be installed by using a few simple tools and are very reasonably priced. You can also find out more and view products at EPA.gov. Compact fluorescent light bulbs have become relatively inexpensive. They last longer and are more energy efficient, thereby reducing energy consumption and saving you money on your power bill! If you’re not home during the day, close the windows, curtains, and/or blinds to keep your house cool for as long as possible. If you’re home during the day and don’t want all the windows covered, cover them as soon as it starts to heat up. Remember that south-facing windows get a lot of sun. East-facing windows get sun in the morning and west-facing ones get the hotter and stronger sun in the afternoon and evening; so lose west-facing windows before the afternoon sun hits. This applies both at home and in the office to save energy and keep your space cool. Energy Star states that almost 90% of the energy consumed by a washing machine goes to heating water. Switching from hot/warm water to cold water when washing saves energy and money. Heating and cooling accounts for a large majority of energy used here at Metro and in our homes. The system at Metro is centralized with an established set point; however in your home, turning down the thermostat during cooler months and up during warmer months will lower energy consumption and save money. Unplug appliances, or use a power strip. Use the switch on the power strip to cut all power to the appliance and to avoid "vampire" loads. Many appliances continue to draw a small amount of power when they are switched off. This approach will save you energy use and money. Choose a cleaner burning propane or electric grill over one powered by charcoal, which contributes more to poor air quality. Or, try a solar oven or stove that avoids emissions altogether. If you do use charcoal, look for lump brands (briquettes may contain coal dust or other additives as binders) made from invasive tree species or harvested from sustainably managed forests. Switch from lighter fluid, which releases smog-forming VOCs, to a chimney starter. Electric fans use 90% less energy than centralized air conditioning, and Energy Star-Rated ceiling fans are 50% more efficient than conventional fan/light units. By raising the temperature on the thermostat a few degrees and increasing fan use you can save energy and money this summer season! If the tires on your vehicle have less than the recommended air pressure, your gas mileage will suffer. You can improve your fuel efficiency by up to 3.3% by keeping your tires inflated to the proper pressure. Under-inflated tires can lower gas mileage by 0.3% for every 1 psi drop in pressure of all four tires. Properly inflated tires are safe, last longer and save you money. Check out farmers’ markets in your area. By buying local you not only help support the local economy, but also reduce your carbon foot print. The amount of fossil fuels used to transport food is tremendous. Buying local will help to reduce carbon emissions associated with food production. Also, find a market near you . 49% of the daily trips that Americans make are less than 3 miles from their home. 39% are less than 2 miles, and 24% are less than 1 mile. With the average American household spending over $8,000 per year owning and driving their cars, you can dramatically cut costs by opting for a bike on those shorter trips. 3 hours of biking per week reduces the risk of heart disease and stroke by 50%. Studies have shown that adolescents who bicycle are 48% less likely to be overweight as adults. Women who bike 30+ minutes a day have a lower risk of breast cancer. Gas wasted during traffic congestion totals nearly 3 billion gallons per year in the U.S.
For every 1 mile pedaled rather than driven, about 1 pound of CO2 is saved from entering the atmosphere. Cycling in numbers is also safest; the more cyclists there are, the safer bicycling is. Reduce your car’s carbon impact through diversification . Many Metro employees have embraced public transportation through buses and rail, but there are more options such as bicycling and carpooling. Adding bicycling to your lifestyle will not only reduce your gas consumption but keep you in great shape as well. Metro also has options for car and vanpools. Using this strategy with co-workers to save gas and money, all while reducing your carbon footprint. There are a few no cost ways to increase gas mileage, optimize your vehicle and get the most from every gas tank. First, check the air pressure of your tires regularly, properly inflated tires can save up to $20 per month in gas, which adds up to $240 a year. Second, remain calm behind the wheel. Aggressive driving can waste up to 30% more fuel than when driving patiently and slowly. Lastly, use cruise control when you can. An Edmunds.com study shows that using cruise control at highway speeds offers an average fuel savings of 7%. A bigger decision for transportation could be looking at replacing your existing vehicle with something more efficient such as a hybrid vehicle, or an even more fuel-efficient vehicle. There are more options than ever for alternative fuel vehicles such as biofuel/biodiesel vehicles and plug-in hybrids. Many of these vehicles still qualify for federal tax incentives too. You can review green ratings for all car models released since 200 at the U.S. Environmental Protection Agency’s (EPA) Green Vehicle Guide . Save natural resources and protect yourself from late fees by enrolling in online paperless billing. You’ll not only save trees, but you will also eliminate the fossil fuel needed to get all those billing envelopes from them to you and back again. And, you'll save money on stamps. When out shopping, try to go to stores or co-ops that keep packaging to a minimum. For example, you may choose to buy the loose tomatoes rather than boxed or plastic-wrapped tomatoes. Also, take reusable bags to the grocery store. When it comes to resources a reusable cloth tote-style bag is better than paper or plastic. Many products that we use daily end up in a landfill when they could have been recycled. Recycling will divert waste going to a landfill and will reduce consumption of our precious resources. It’s also an easy way to be more sustainable. Use reusable cups, tableware, cloth napkins and plates when going on a picnic. These are great when it comes to going green. Keeping traditional plastics, foam plates and paper napkins out of the trash helps the pocket book and the planet. And don’t forget to reuse water bottles. It will keep you healthy and save you money.